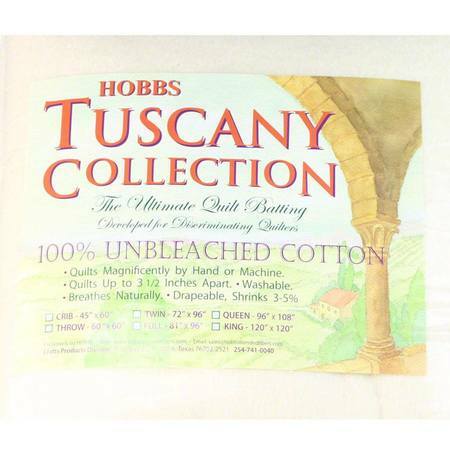 Hobbs Tuscany Cotton Batting is made from 100% unbleached cotton. 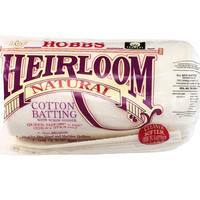 This needle punched cotton batting can be quilted up to 4" apart and finishes with a smooth appearance. Easily quilt by either machine or hand. 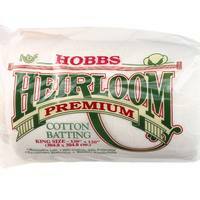 Unbleached, long staple cotton becomes softer with every wash. 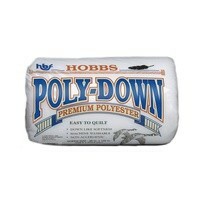 Manufactured and distributed in the USA. 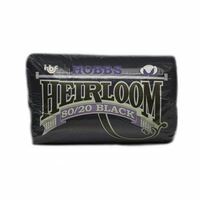 Available in Crib Size (45x60in), Throw Size (60x60in), Twin Size (72x96in), Full Size (81x96in), Queen Size (96x108in), and King Size (120x120in).